A 19-year-old Maywood man faces weapons charges after officers say they found him armed with not one…not two...but three Tasers and stun guns near Belmont and Broadway in June. 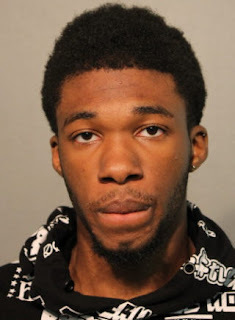 Cops say they saw a “long black metallic object with metal prongs” sitting next to Kevon Richardson during a routine traffic stop in the 400 block of W. Belmont. Cops found a second stun baton and a smaller stun gun when they searched the vehicle for impoundment. Police say Richardson admitted to buying the weapons on Amazon for protection. He said he “has pulled it out before but never used it on anyone,” according to court records. He’s charged with unlawful use of a weapon.